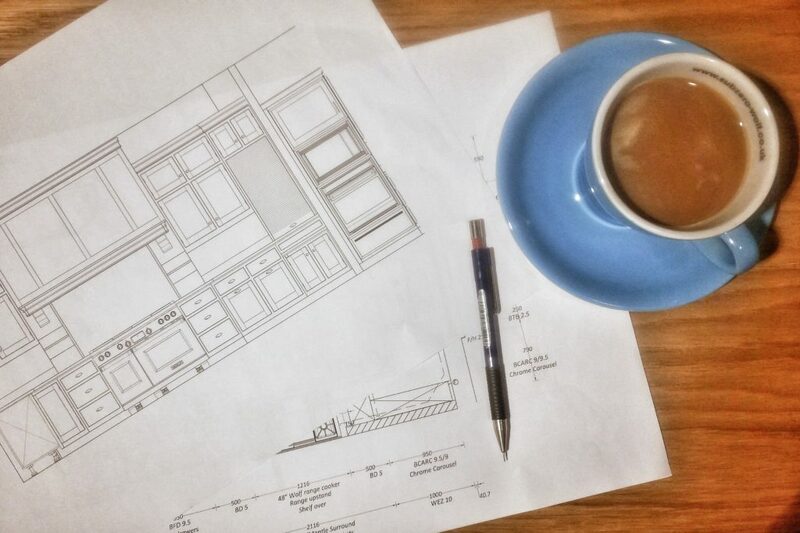 The first step in creating an interior illustration is to collect all data necessary such as drawings (plan and elevations), colour scheme, accessories, materials and finishes. In my case coffee is one of the most important elements of the process…. 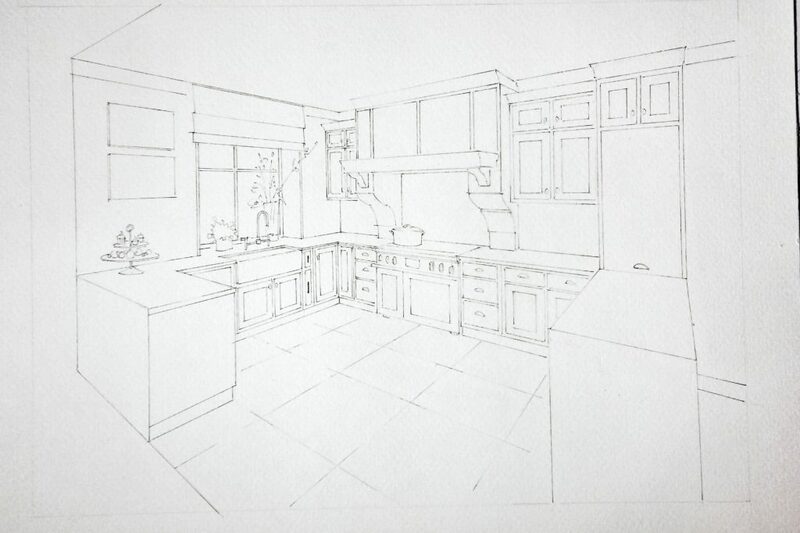 The next step is probably the most vital for a high quality illustration – sketching and confirming the view angle, as it has to be informative and balanced. 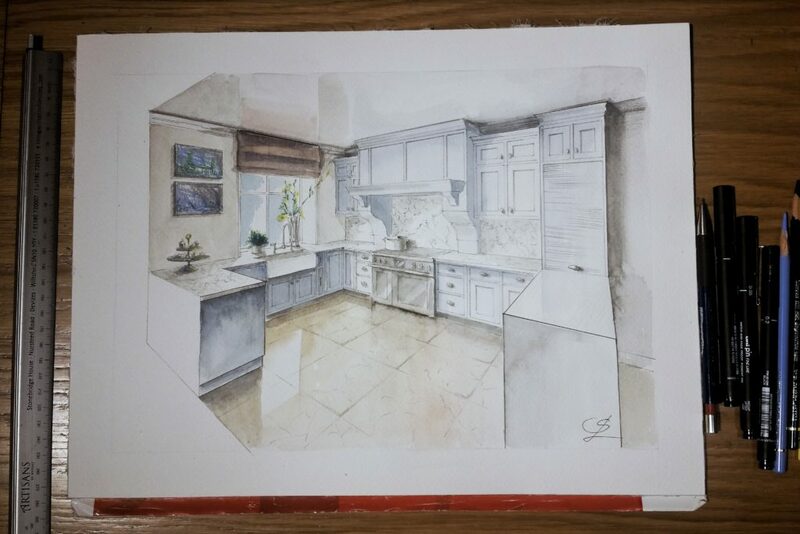 As you can see front views look very distorted and quite a few bits of the furniture are missing from them, so I went with the ¾ one. 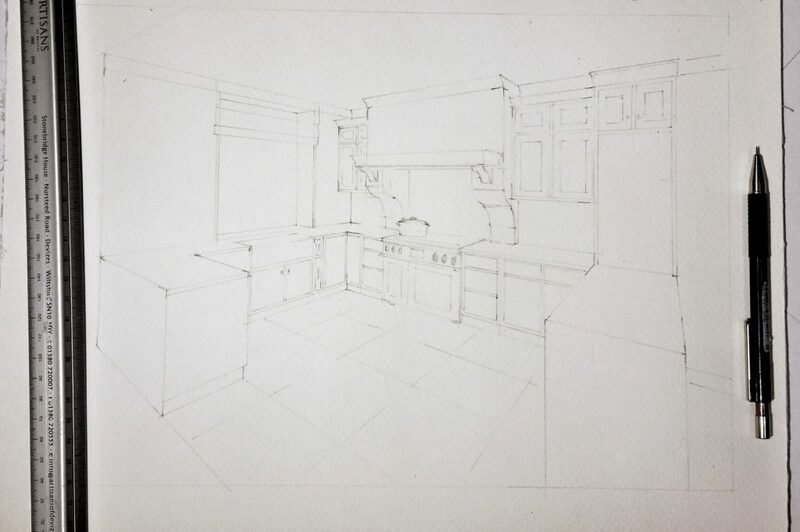 I begin by drawing the perspective, which is called two-point perspective, and it is relevant only if I want to be all professional and fancy and use descriptive geometry to build the view. But it is very time-consuming hence ineffective for today’s work rhythm. 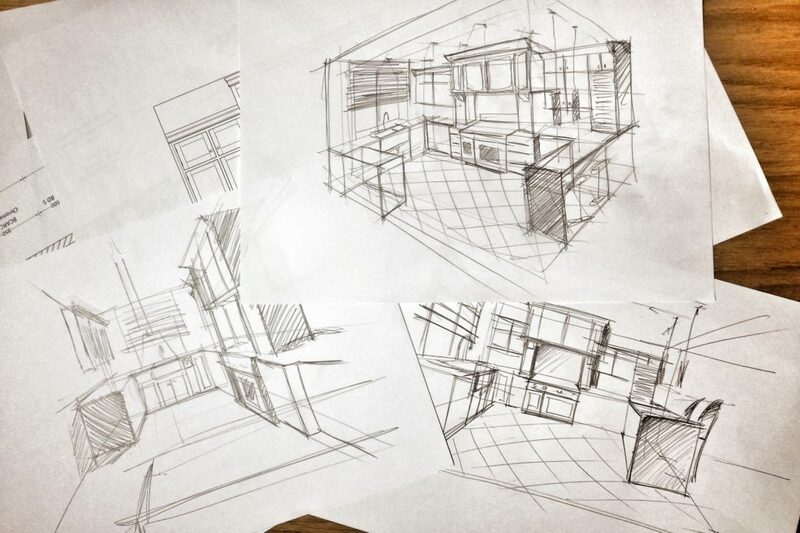 Experienced renderers can draw a correct perspective from scratch without any tools. Besides, as my old art professor once (or more like a thousand times) told me: “You are not depicting the shape, for that we have cameras, you have to reveal the mood, dynamic, character and atmosphere”. …start outlining the drawing with ink. I make another cup of coffee and get to colouring, and I do go beyond the lines sometimes! 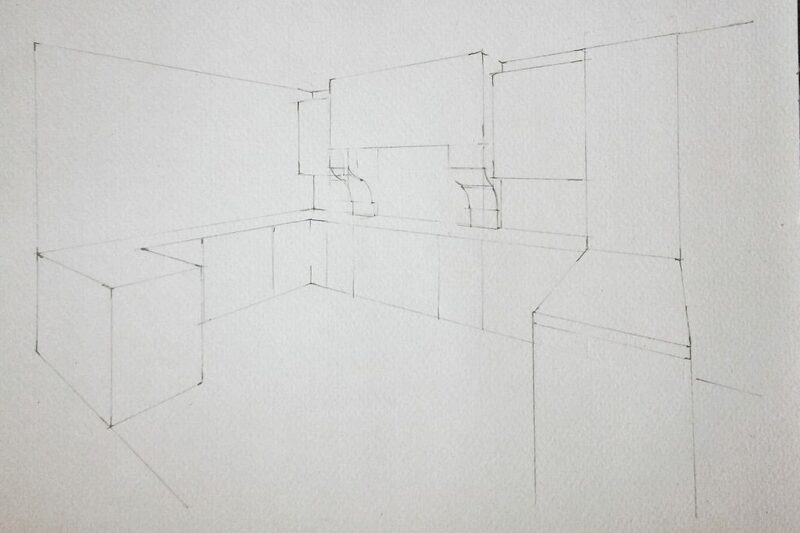 Finally I add some little details with colour pencils and the image is good to go. 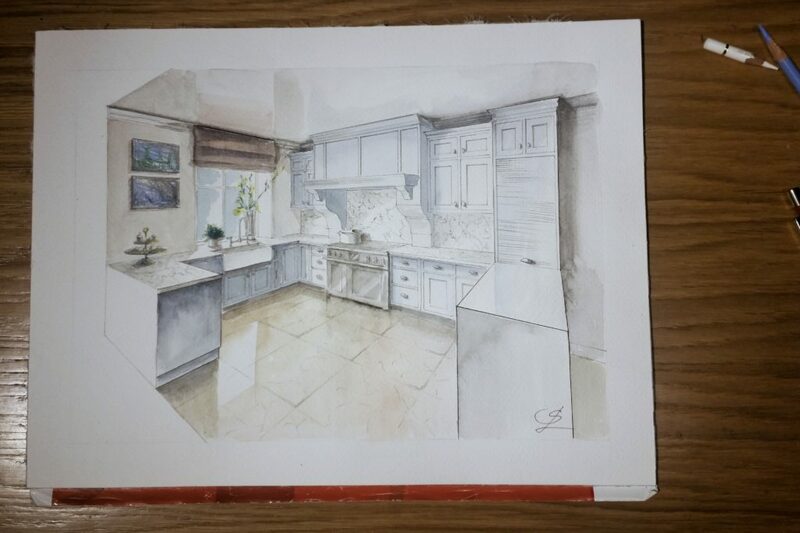 Another beautiful McCarron & Co kitchen! For more examples of our handmade furniture, request our brochure.